The Belarusian won over $12,000 after shipping the biggest tournament of the day. On the eighth day of the 888poker XL Blizzard Series, three new tournaments started, and once again three players were crowned as winners. Most money was up for grabs in the $75,000 PKO 8-Max where the winner took home over $12,000. 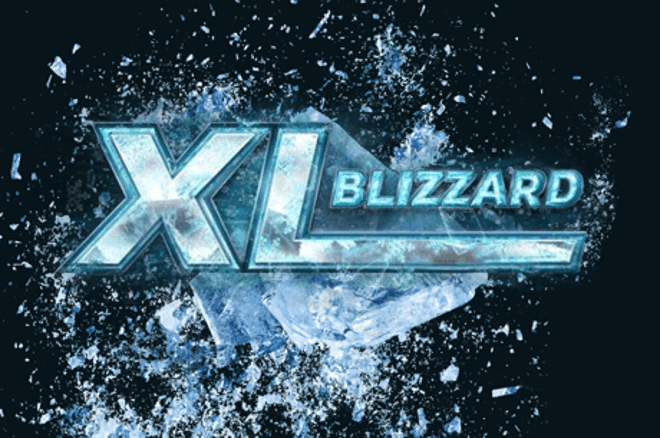 At 20:00 GMT, the XL Blizzard #22 - $75,000 PKO 8-Max kicked off. After late registration closed, there were 246 registered players resulting in a total prize pool of $75,000 and a small overlay, with $8,465 reserved for the winner excluding the bounties. More than eight hours were played before they crowned a champion. Eight players made the final table, securing themselves of $1,150. "Leqenden" (eighth, $1,150+$484) "omgjefmonier " (seventh, $1,463+$625), "wellyxxxx " (sixhth, $1,881+$1,871), "IbetUfold_x" (fifth, $2,299+$494) were eliminated in quick succession. After that, "HermanMelvin" (fourth, $3,553+$609) and "liincownz" (third, $4,807+$463) missed out on the final heads-up. Belarus' "ZANOCI" battled heads up against Ukraine's "YSoSerious7" and in the end, the former took down the XL Blizzard title. The runner-up received $6,479 and an extra $3,728 in KO's while the winner won $8,465 and an extra KO worth $4,528. For the players who didn't have the bankroll to play the $215 event, or wanted to multi-table, there was also a Mini edition with a buy-in of just $22. In total, 901 players competed in this event which made for a $24,880 prize pool with the first prize just over $2,302. In the end, "cretzzuu93" (fourth, $933) and "Hala1988" (third, $1,244) were eliminated from the final table, both receiving a four-figure score including their KO. The final two players secured themselves of $1,618, but there was still a lot of money on the line. Norway's "mathi8ce" finished the deal and won the tournament for $2,302 plus $1,455 for a total first prize of $3,757. United Kingdom's runner-up "king.abduIIV" received $1,618 plus $286 for this result. The third and final winner on Day 8 was crowned in the XL Blizzard #24 - $20,000 Late PKO 8-Max, where 363 players competed to create a prize pool of $22,800. After just six hours and 33 minutes, it was Canada's "Win.338" who took the title and the first prize of $2,195 plus $2,119. The Canadian defeated Switzerland's "Oguen1" in the deciding heads-up, who had to settle for $1,625 plus $202. One of the leading, most popular poker platforms and an industry pioneer since 2002. Bonus code: NEW888. T&C's apply.